This page provides information related to the MEPDES general permit for post-construction discharges of stormwater from property with one acre or more of impervious area in the Long Creek watershed. The Long Creek Watershed is located in the municipalities of South Portland, Westbrook, Portland and Scarborough. 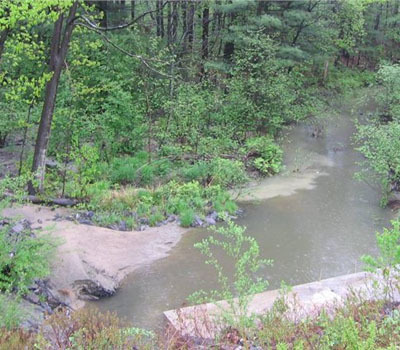 The general permit covers the discharge of stormwater from such properties to Long Creek and its tributaries, or to a municipal separate storm sewer system or other conveyance that discharges to Long Creek or its tributaries. The general permit describes permit coverage and limitations, definitions, requirements, procedures, and standard conditions. There is also a section addressing the relationship of this permit to other programs. General permit for Post Construction Discharge of Stormwater in the Long Creek Watershed. Effective April 21, 2015.